Roberts is a MARSOC Marine - a highly trained branch of the Special Forces and is believed to be armed and dangerous, Dillon Police say. Roberts' family is working with authorities to try and resolve the situation. The manhunt for a veteran suffering from severe post-traumatic stress disorder has extended from Colorado to Kansas and now Virginia over the past week. William Roberts, 34, reportedly slammed into a Dillon Police car back on Tuesday after officers tried to arrest him at the Dillon Dam Brewery. A SWAT team entered the hotel room he was supposed to be staying in, but by the time they arrived, he'd already gone, police say. Then, later that night, Roberts was pulled over for speeding in North Newton, Kansas - 557 miles from Dillon. When the officer that pulled him over learned he was wanted for hitting a police car, Roberts sped off, prompting a high-speed chase that spanned two counties. Even though his tires had been damaged by spike strips, he got away and is believed to have fled in a stolen truck all the way to Virginia. 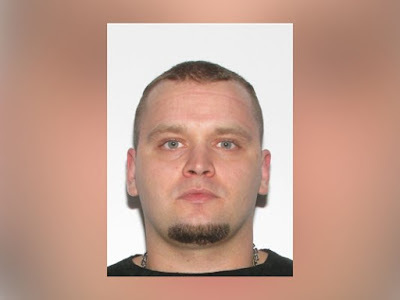 Police in Botetourt County, Virginia, 1,700 miles from Dillon on the west side of the Appalachian mountains are currently conducting a manhunt for Roberts.